The Roman god Saturn, after whom the planet Saturn was named, was the god of sowing or agriculture. His reign is often associated with peace and plenty, and his temple served as the treasury of the Roman state. At Saturn Wealth, this history speaks to us, as we believe every individual should have the opportunity to potentially accumulate abundant resources to more successfully prepare for an enjoyable retirement. As an independent financial services firm, we aren’t beholden to one company or one specific set of products. Rather, we work to align our clients strategically with solutions tailored to their specific goals and objectives. We believe in listening first, offering financial education second and making recommendations only after you feel confident about moving forward. We are held to a fiduciary standard to do what’s in your best interest, a responsibility we take very seriously. Furthermore, Saturn Wealth values savings programs that include low-cost, low-fee options that may potentially reduce your tax burden and enhance your retirement position. We approach the process of planning for your future with care, consideration and commitment. Therefore, we believe that the Saturn Wealth way is a beneficial way to do right by our clients. 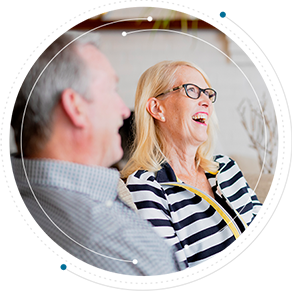 The Saturn Wealth mission is to provide individuals and families in all stages of planning with objective, unbiased financial advice that they can use to help achieve their short- and long-term financial goals. Education, service and support serve as a strong foundation for ensuring our clients can access the information they need to make informed, confident decisions to better prepare for life as it unfolds. Whether you’re at or nearing retirement or years from life after work, we can help you create a financial plan to help you prepare for the expected, the unexpected and everything in between. As part of our commitment to help others achieve their financial dreams, Saturn Wealth is a proud member of the Society for Financial Awareness (SOFA). SOFA is a 501(c)(3) nonprofit public benefit corporation whose mission is to provide financial education across America, one community at a time. Named after the famous ballerina Cyd Charisse, Charisse Mackenzie prides herself on helping clients enjoy retirement with poise and grace. 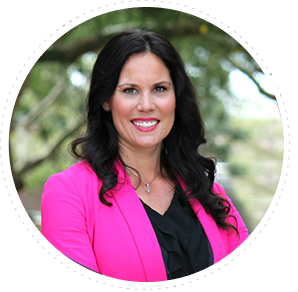 As the president of Saturn Wealth, she provides an array of financial services that simplify comprehensive planning. She believes in educating clients and assisting in their decision-making process, making preparation for the future a team effort. Previously, Charisse spent time in the healthcare industry, developing budgets and running statewide programs until joining a Scottsdale-based financial firm in 2009. In 2015, she earned the Accredited Investment Fiduciary® designation from the Center for Fiduciary Studies, which certifies that she has specialized knowledge of fiduciary standards of care and their application to the investment management process. Charisse graduated with honors from Arizona State University in 2003, with a focus on business, psychology and finance. She has been active in her community throughout her adult life, both as a mentor with Valley Big Brothers Big Sisters and as a volunteer at local child crisis centers, group homes and homeless centers. She is also a proud member of the Society for Financial Awareness (SOFA), a nonprofit organization committed to increasing financial literacy across the country. Charisse is the mother of two beautiful little girls who keep her on her toes.